The image above presents an aerial view of the Escondido Center Master Plan, which was developed by our architect, Domusstudio. This plan, approved by Mother Center, will guide development of our site in the years to come. To the right is a “fly around” video of the master plan. 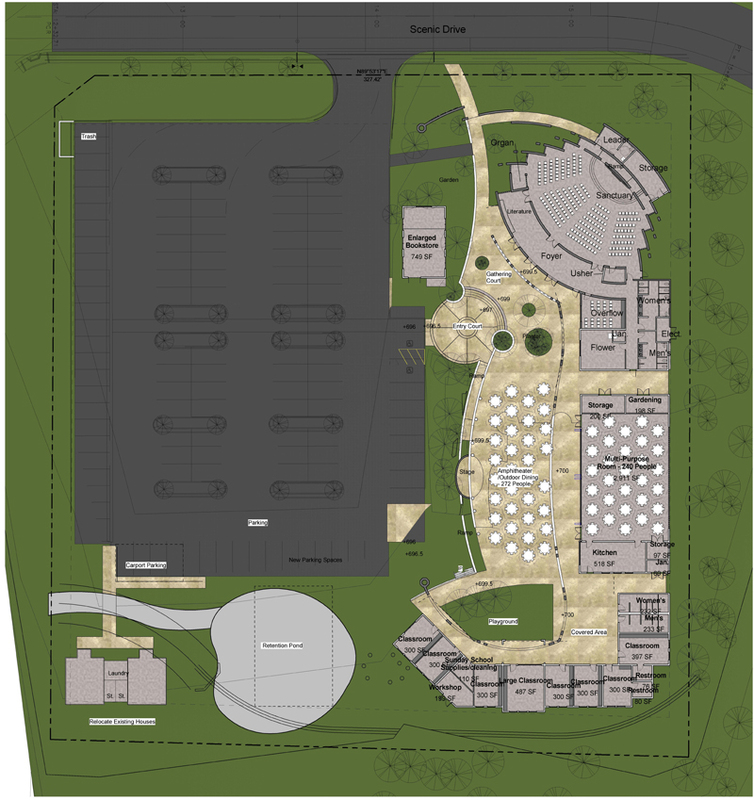 Below is an image of the overall site as reflected in this plan, which will be presented to our membership for approval. The purpose of the master plan is to provide a “road map” that will guide future development. The immediate project is the new chapel building. The new multipurpose room and Sunday School rooms would be constructed only when the need arises, and funding is available.